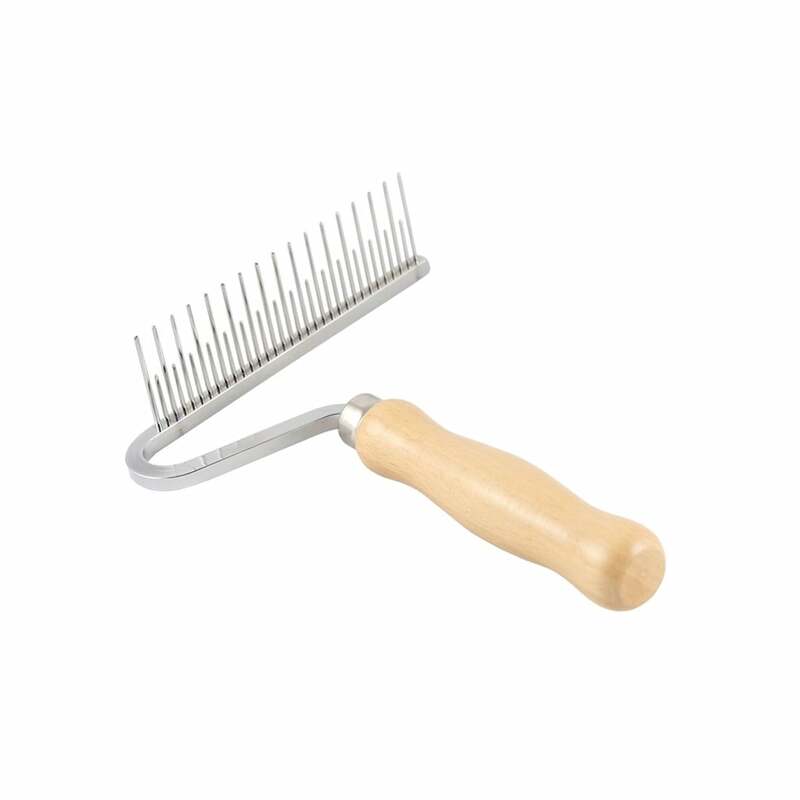 The Metal Moulting Rake is a sturdy tool designed to remove loose undercoat hair from double-coated breeds. 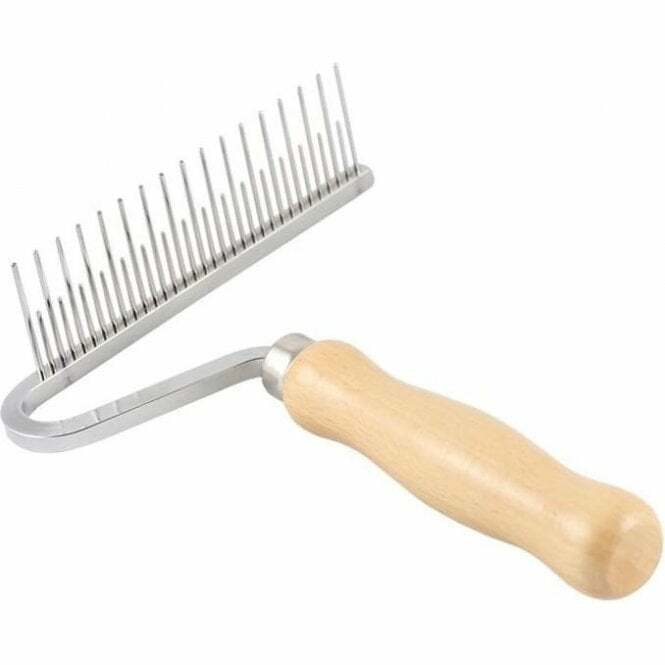 This rake features narrow and wide spaced teeth in two lengths to remove thoroughly remove moulted hair, and has a sturdy metal head and ergonomic metal handle. • Removes loose undercoat hair in double coated breeds. • Includes narrow and wide shaped teeth in two lengths. • Ergonomically shaped wooden handle. Groomers Expert Tips: An ideal rake for thick, double coats such as Huskies or German Shepherds. Please browse our full Undercoat Rakes range.